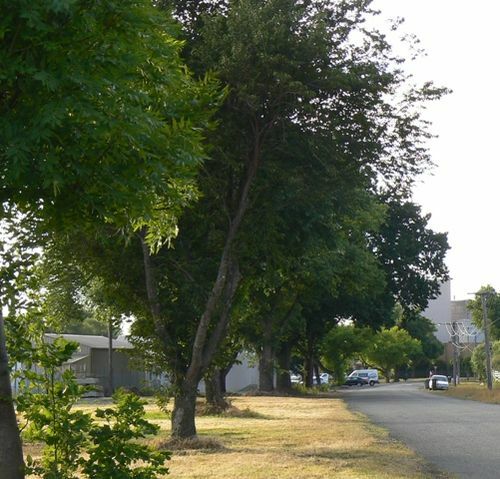 An Avenue of Honour known as "Monash Avenue", defined by rows of Maple and Ash trees along Beaufort Crescent, was planted by the North Progress Association between 1916 and 1917 memory of those serving in World War One. These trees, together with the row of Elms in Creswick Road, Pin Oaks on the east side of Baird Street and the mix of Plane, Elm and Ash trees in Macarthur Street contribute to the historical significance of the area. The avenue was officially named in 1918. Monash avenue, along the Creswick road from Ballarat North, was officially named by Lady Peacock, who expressed the hope that next season's planting would be started at the Creswick end, and that the avenue would thus link up with Ballarat. Argus (Melbourne), 3 September 1918.